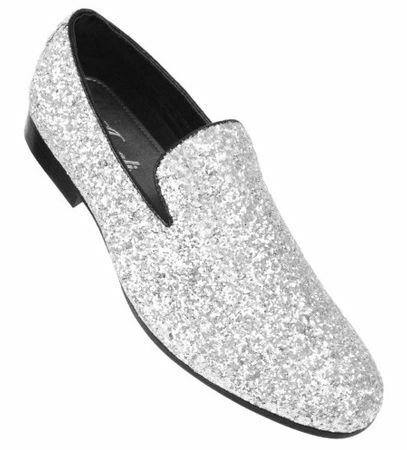 Get ready for the Casino the right way with these sparkling formal style silver glitter slip on shoes by Amali. These Italian style slip on shoes are perfect for hooking up with all the new shiny dinner jackets with formal style that are available at Contempo. Medium width. Your red carpet style will always look correct with Amali brand shoes.